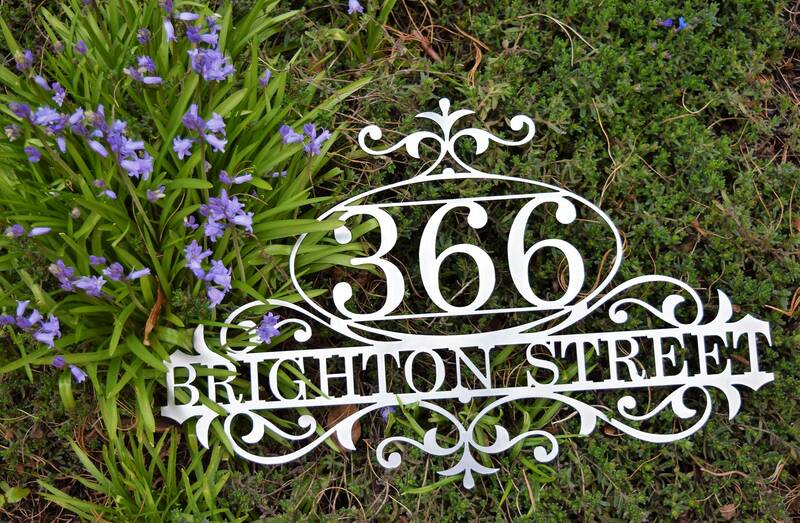 • Size: The width is 20" and that will not change but the height varies on the number of letters in your street name. 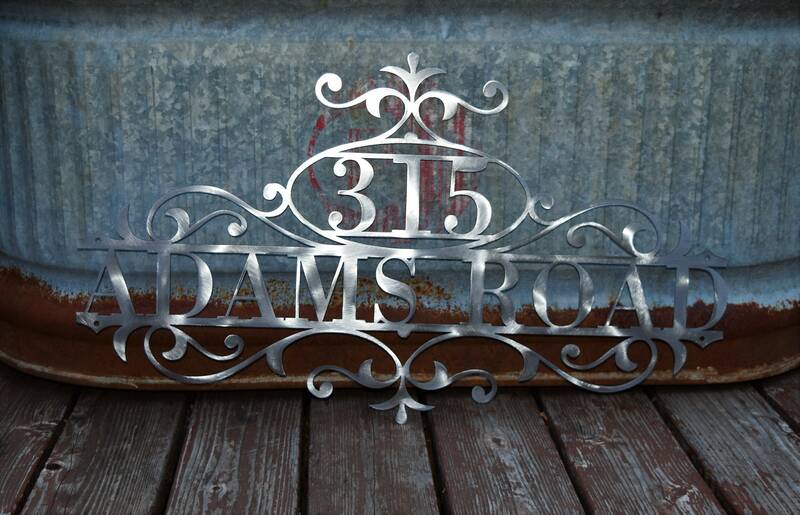 The approximate minimum height is around 12" tall. 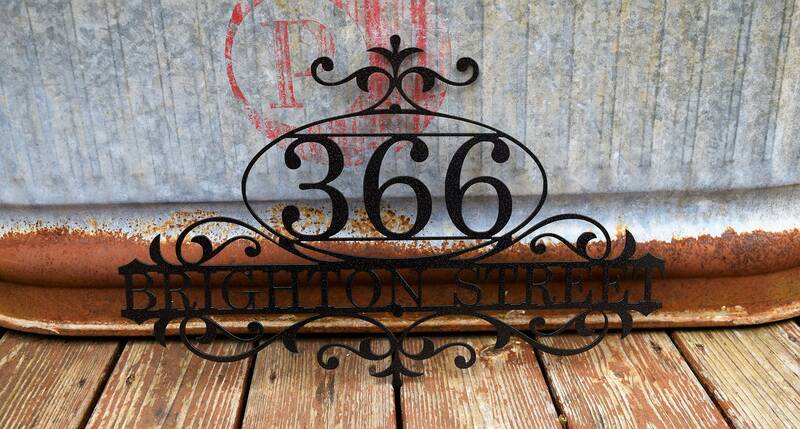 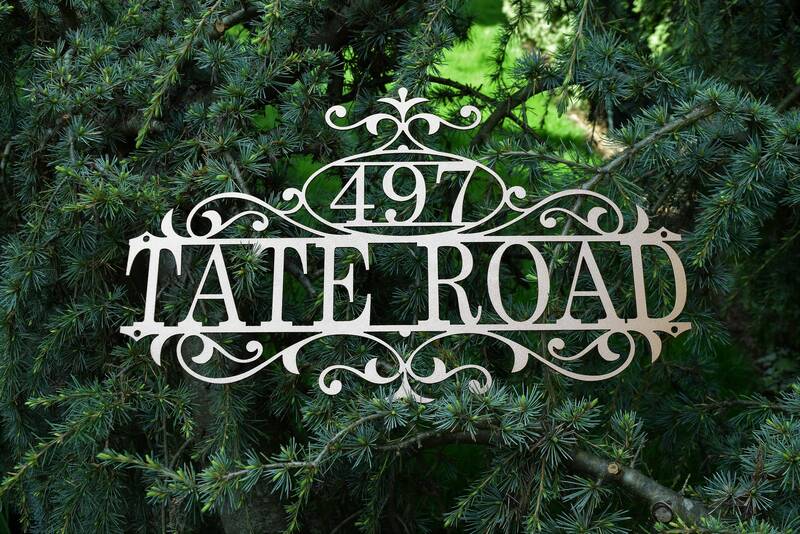 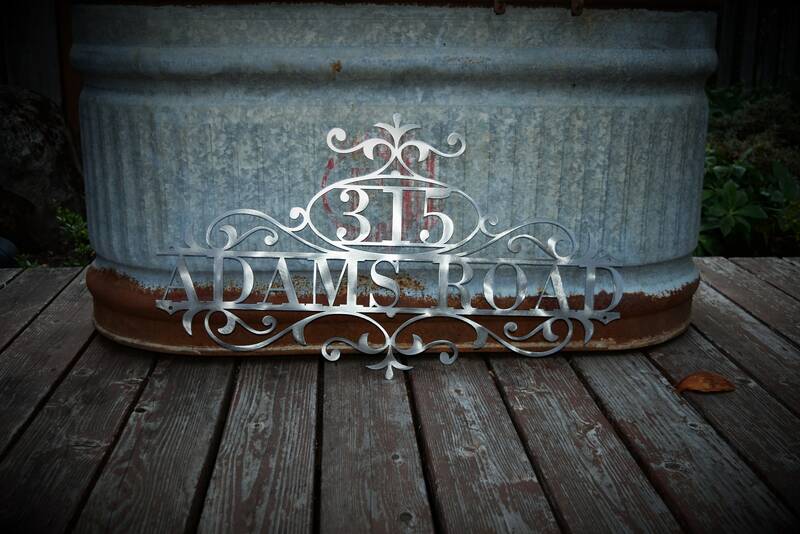 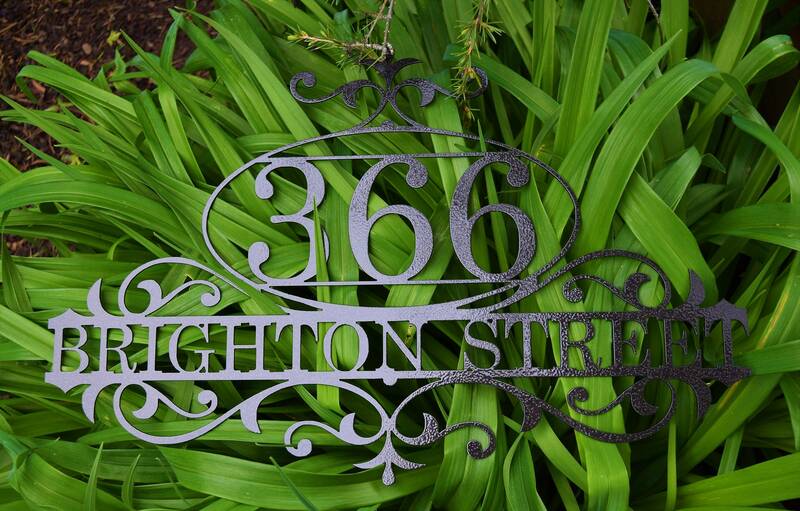 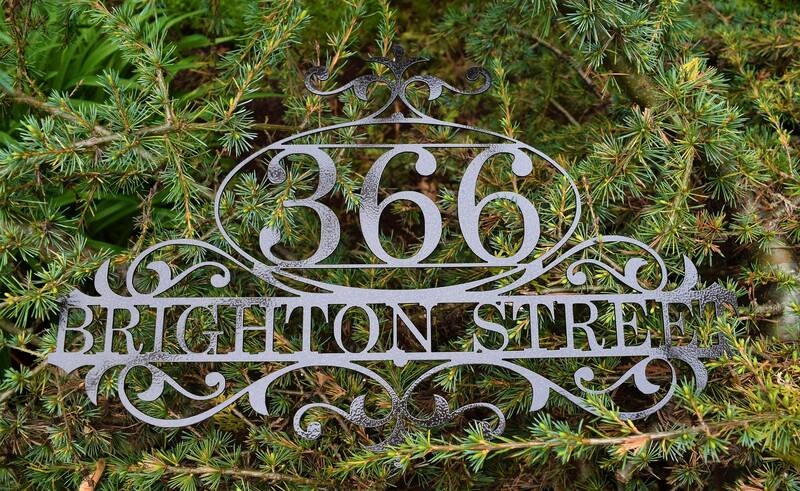 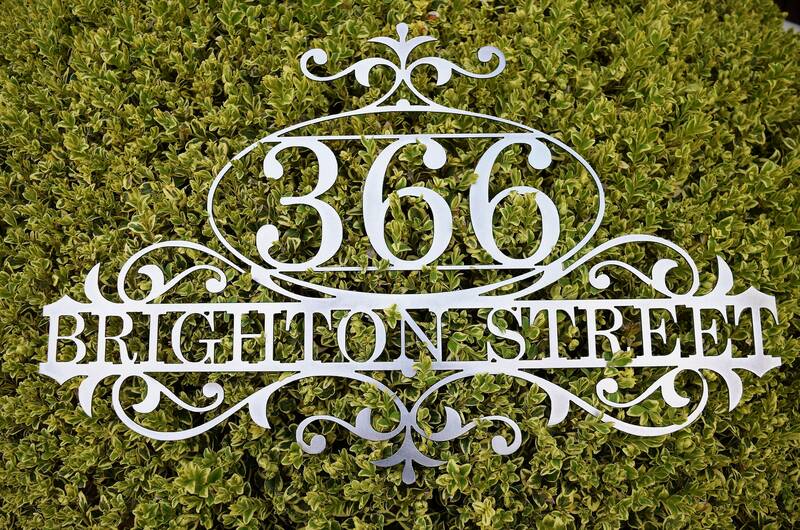 • This is a custom metal address sign. 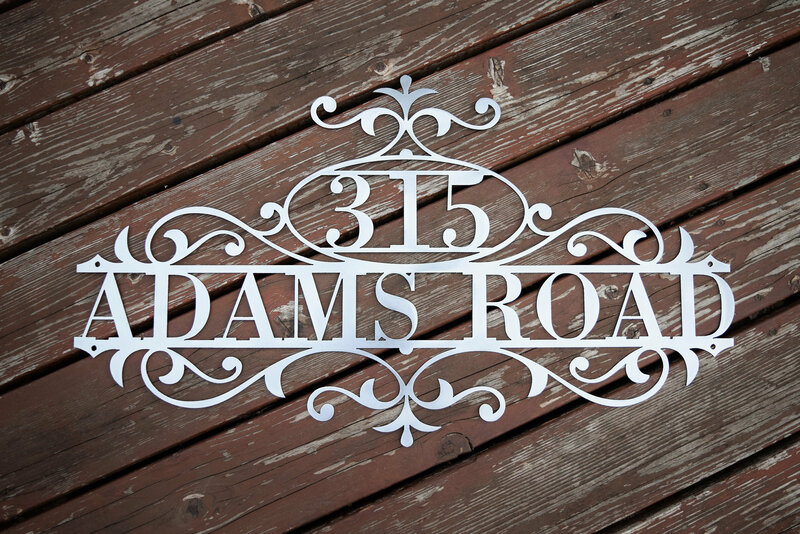 It has pre-cut holes for easy installation and made from steel. 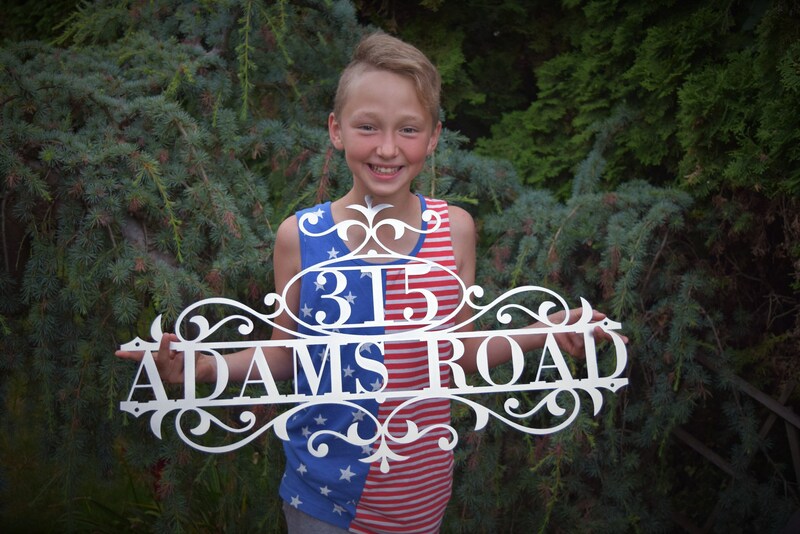 This product is personalized with your own house number and street name/family name and will make a great addition to any front porch.